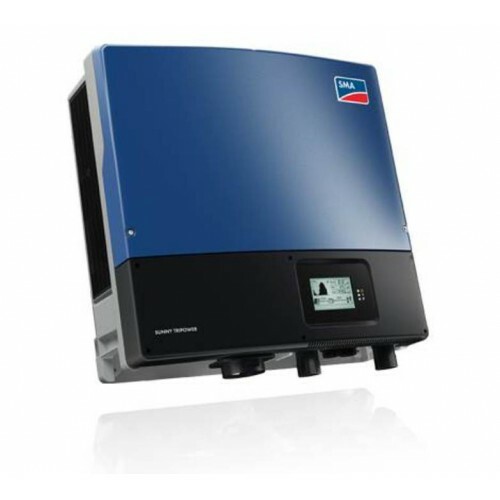 The Sunny Tripower 20000TL is the ideal inverter for large-scale commercial and industrial plants. Not only does it deliver extraordinary high yields with an efficiency of 98.4%, but it also offers enormous design flexibility and compatibility with many PV modules thanks to its multistring capabilities and wide input voltage range. The future is now: the Sunny Tripower 20000TL comes with cutting-edge grid management functions such as Integrated Plant Control, which allows the inverter to regulate reactive power at the point of common coupling. Separate controllers are no longer needed, lowering system costs. Another new feature-reactive power provision on demand (QonDemand24/7).